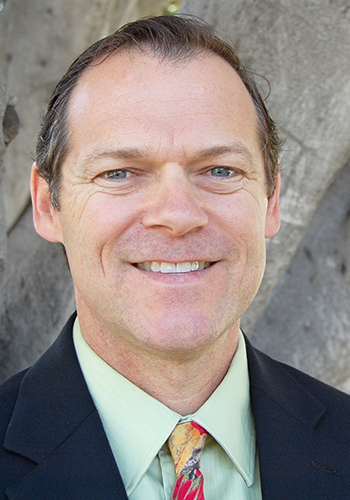 CARLSBAD — Carlsbad Chamber of Commerce (www.carlsbad.org) has announced the selection of Bret Schanzenbach as its new CEO. Schanzenbach will succeed Ted Owen who is retiring in January 2019 after 15 years at the Chamber. Outgoing CEO Ted Owen stated, “I’ve known Bret for many years and I am confident he is qualified to take the Chamber to the next level. I wish him the best.” Carlsbad Chamber of Commerce Board Chairman Ahmed Haque added, “The Chamber’s Board of Directors was impressed by Bret’s track record at the Vista Chamber, his knowledge of the chamber industry and his relationships with stakeholders in the region. We are proud to have Bret lead the Carlsbad Chamber into its second century of service to the community.”Schanzenbach, a native California and resident of San Diego’s North County since 1971, comes to the Carlsbad position from the Vista Chamber of Commerce where he served as CEO since 2009. His corporate background before the Chamber was in residential real estate and the software industry. In 1992 he helped start Technical Difference, Inc., a human resources software company in Bonsall, CA. Before venturing into the corporate world, Schanzenbach spent seven years as a youth minister. The Carlsbad Chamber of Commerce promotes business through member services, economic development, community development, and public policy that balances economic prosperity with the quality of life. Its strategy for engagement focuses on five core competencies: building a strong local economy, promoting the community, providing networking and professional development opportunities, representing business before government, and political action. The organization represents more than 1,300 businesses, which provide employment to approximately 53,000 people. Schanzenbach graduated from the Franciscan University of Steubenville in Steubenville, OH, earning a BA in Psychology. He earned his Master’s in Theological Studies from the University of Dallas. He and his wife Joleen reside in Vista, CA with their six children. They are active members of St. Thomas More Church in Oceanside.